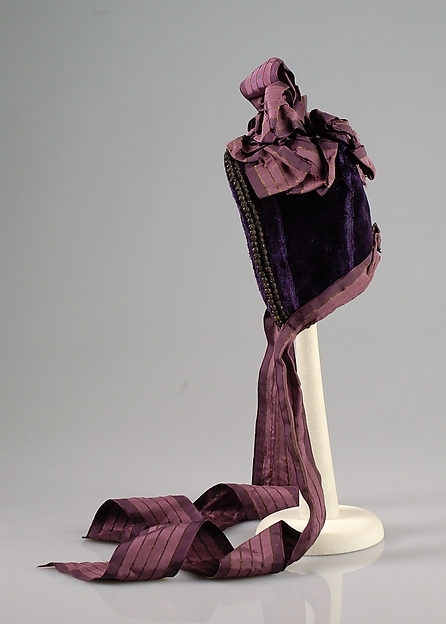 I've had a lot of questions about the bonnet I wore with my 1879 Tea Dress. I didn't have time to construct a late 1870s/early 1880s bonnet, and I'm not all that skilled at buckram construction anyway, so I looked into my hat stash to see if anything would work. I used three feather sprays from the floral section of Michaels, and some ribbons and flowers from WalMart. 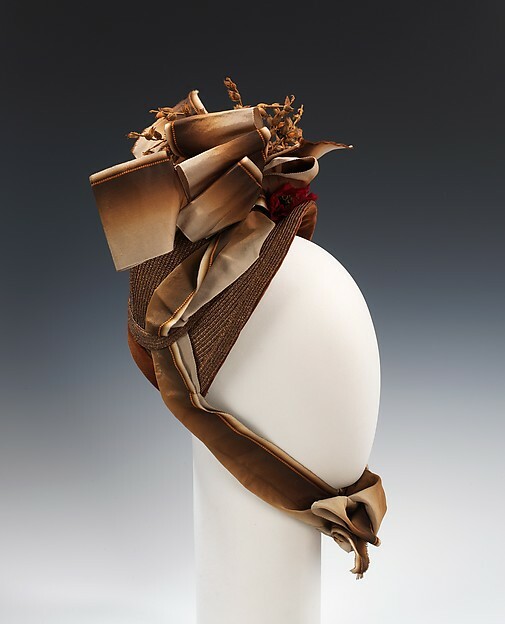 The large bow is wired ribbon with the wires left in, to create the big, sculpty loops that visually balance the feathers. The bonnet ties are wired ribbon with the wires pulled out. I prefer the look of wired ribbon because it tends to be less shiny and polyester-looking that non-wired options. The whole project took an hour or so, and cost next to nothing. I bought the ribbons and flowers for a few bucks. 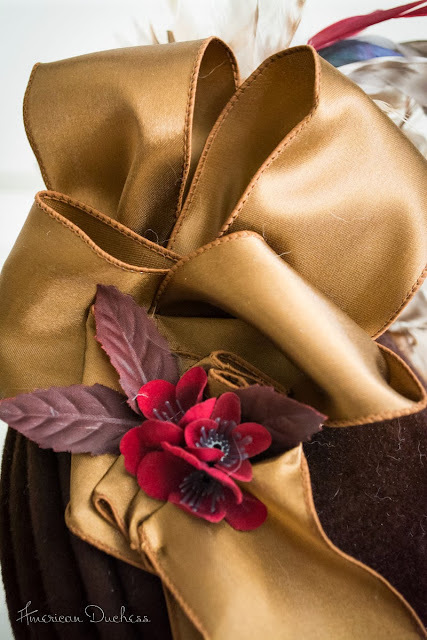 I was really happy with how the bonnet looked with the gown, and that I could finally put to use something that had been sitting for a long time. Whoooooooo!!!! LOVE that gold ribbon! 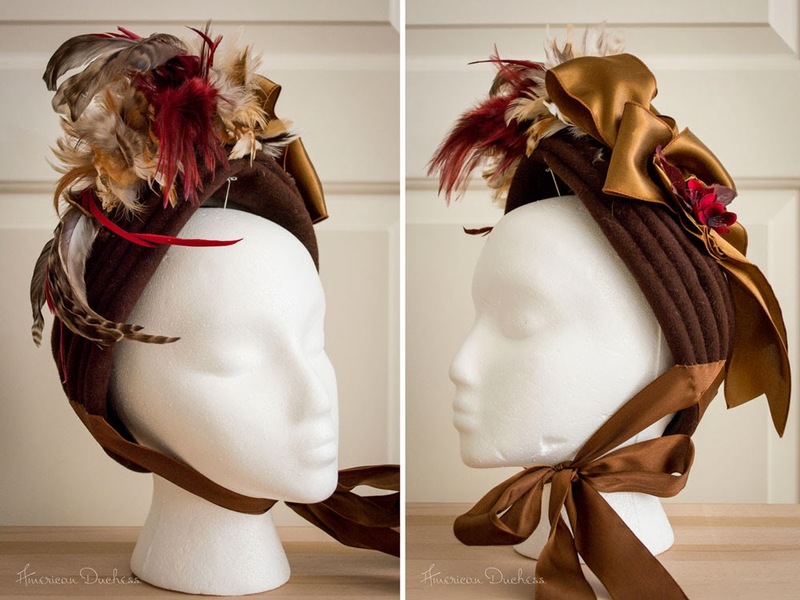 Your bonnet is perfection! 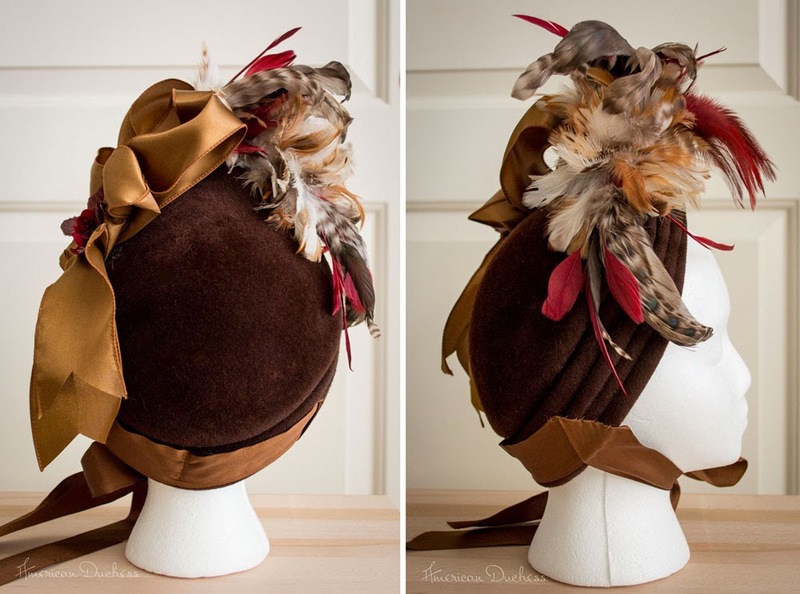 I love being able to take a "new" existing hat and turn it into a Victorian masterpiece and you have done just this in spades!! Job very well done indeed!! Lol! It can't be avoided in this house. Four dogs, and I might've shoved the hat in a bag with a fur collar, on the way back from the event. Oh well! Fabulous! Love the colour combinations; the little pop of red really finishes it off. 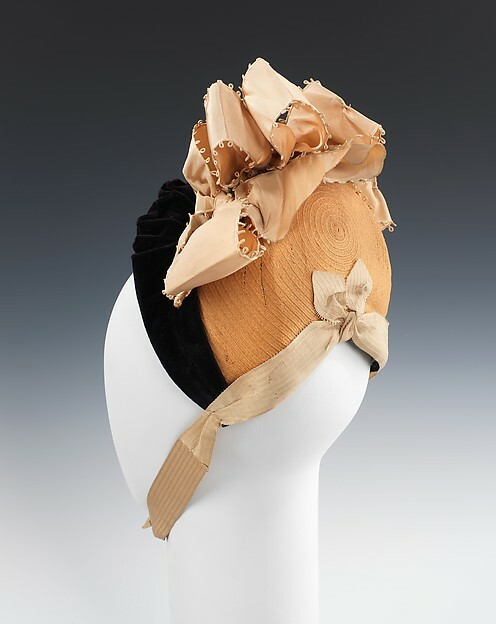 I would never have guessed that it started life as a 1950s hat if I hadn't been told.